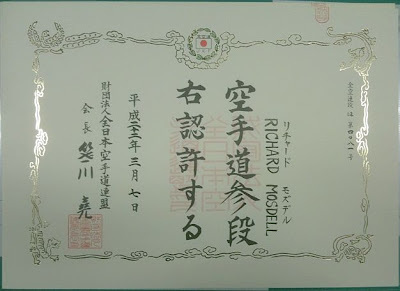 Most Japanese Karate-ka have probably seen a Japan Karatedo Federation (JKF) dan certificate, but most non-Japanese haven't. So, here's my new 3rd dan. 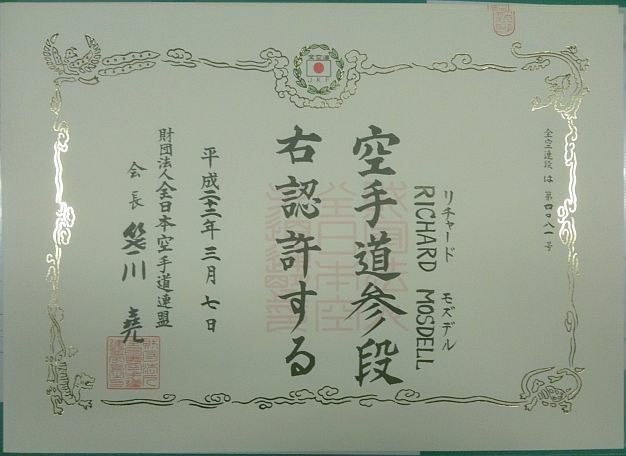 I am grateful to Toshiaki Maeda Sensei for registering me!